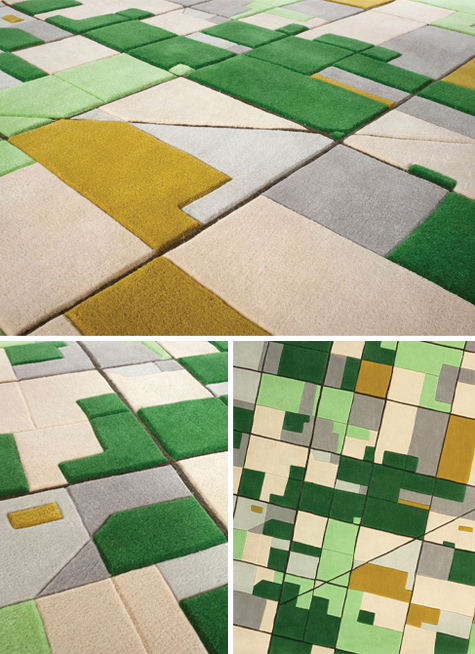 Land Carpet is a modern area rug, inspired by nature and farmed landscapes. Based on satellite images, Land Carpet is a captures fascinating aerial view to touch. The stylized fields are of different height and appear like a miniaturized landscape. Shown in order above: Europe, Africa, the Netherlands and the USA.